Here is a great way to enlarge and transfer a study drawing to your canvas. It’s one of many ways to do this, of course. You can also use graphite or charcoal transfer paper, or you can project your image. I’m sharing this method because a lot of people don’t know about it and it’s probably the most archivally sound method of transferring a drawing. I learned this method from a great artist and teacher Douglas Flynt. The advantage of an oil paint transfer is that it’s just paint. You don’t have to use any unhealthy fixative or worry about the graphite eventually migrating to the surface (you may have seen this phenomenon in the museums from time to time). Once your drawing is transferred and dry (24 hours should suffice) you can proceed as you like. 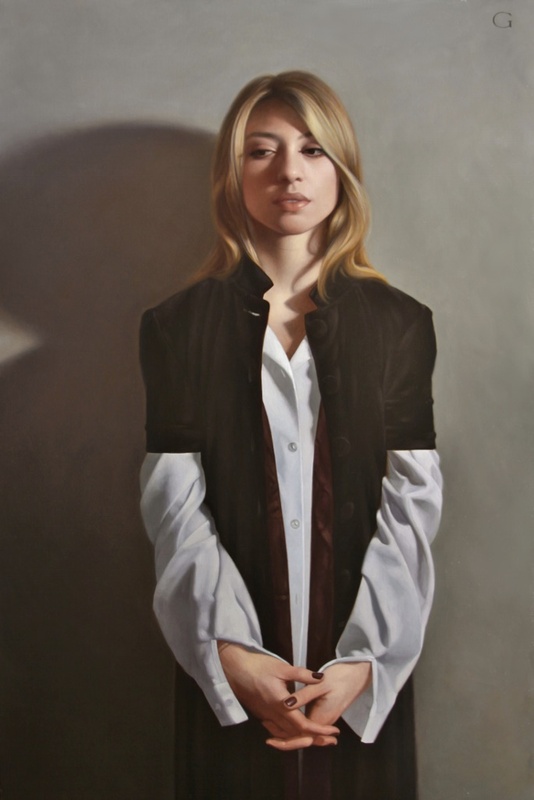 Many people will do some sort of grisaille or underpainting before tackling the real business of the painting. An underpainting is my usual method and highly recommended. One other thing…since this process can sometimes involve a fairly large dollop of paint, I suggest using a cheaper student brand such as Winton, made by Winsor & Newton. In this video I’m simply illustrating how to make the color charts as explained in the book Alla Prima by Richard Schmid. This exercise will not teach you color theory or how to see color, but it will teach you what your colors can do in terms of mixing. You will have to invest some time and materials but what you will learn makes it all well worth it. I’m using my chosen palette of colors, of course. You need not feel that you have to use my palette. In his book Richard Schmid is using a slightly different palette. His choice of colors works for him. The colors I use work for me and they can do virtually anything I want to do in the way of mixing color for my particular expression. By the way, if you don’t have Alla Prima you should. 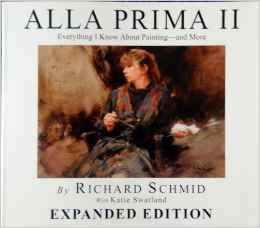 There is a new expanded version of the book available entitled Alla Prima II. If you know of any eligible aspiring artists, now is the time to apply for the David Jon Kassan Fellowship. Awardees will receive $5,000 USD. 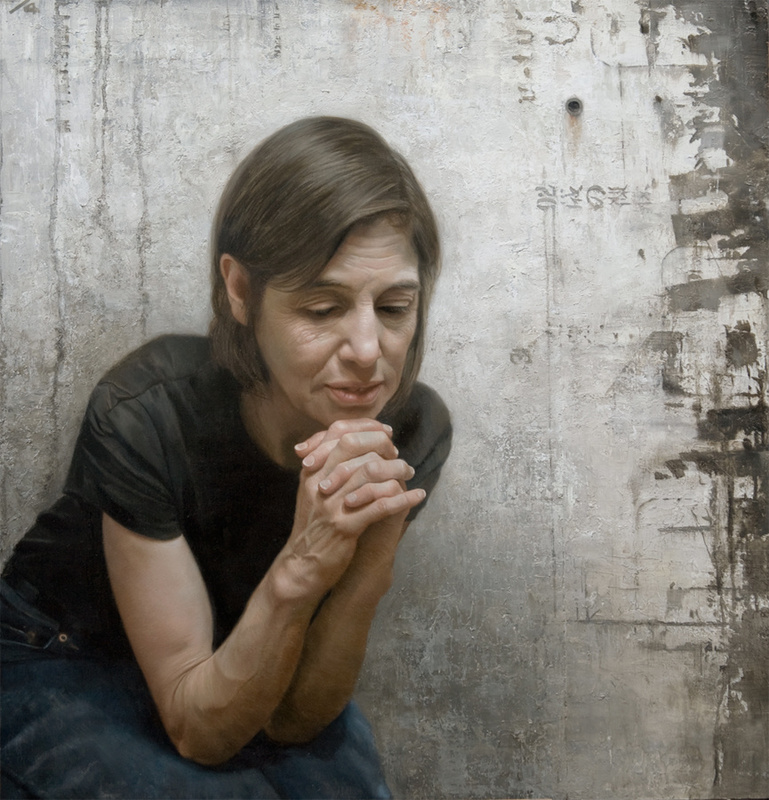 VISUAL ARTS | The Kassan Foundation provides financial assistance to underprivileged artists who work in a representational style of painting, drawing, printmaking and sculpting, are in the early or developmental stage of their career, and demonstrate a commitment to making art a lifetime career. MUSIC | The Kassan Foundation provides financial assistance to underprivileged musicians who work in a singer songwriter style of music, are in the early or developmental stage of their career, and demonstrate a commitment to making music a lifetime career. To apply for this grant click this LINK. 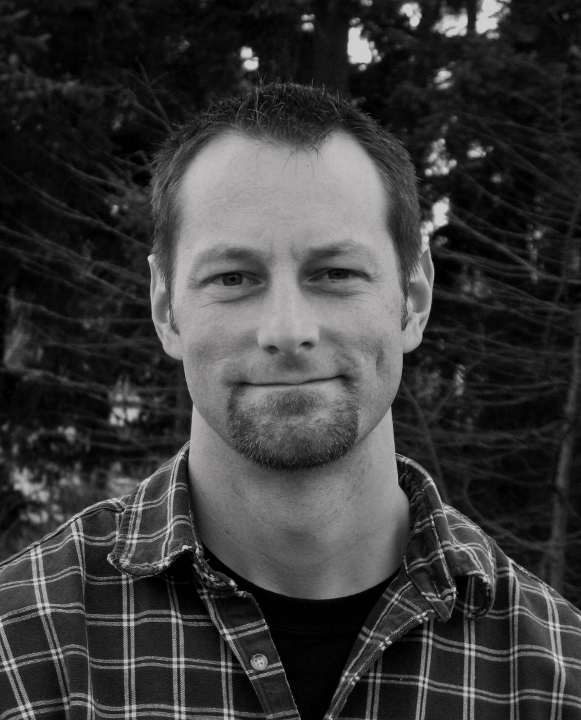 You can learn more about David Kassan at http://www.davidkassan.com. 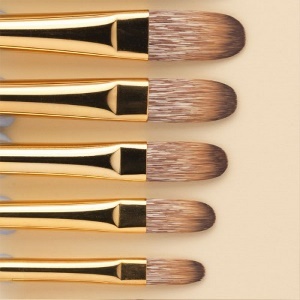 Above: Rosemary & Co. Eclipse brushes – one of my favorites for a refined paint application. Okay, so, brushes. As many of you know, I’m a brushaholic. Few things get my blood pumping as much as a shiny row of neatly displayed brushes at the local art materials store. I just can’t help myself. I have to touch them and feel them and commune with them and decide if I’m gong to blow another 8 bucks on yet another brush. Yes, I’m a junkie when it comes to paint brushes. Not good for the pocketbook. Maybe this post is a bit therapeutic for me. Here I would like to outline what kind of brushes I like and that there really isn’t a need for a huge amount of brushes. I guess I’m partly trying to convince myself, and in the process make it simple for the learning painter. What type of brush? This will depend on several factors, the most important of which is what do you want the character of the paint film to look like? Smooth and silky? Chunky and organic? And of course, you may want a variety of brush character in your painting. This question has really been central to my more sensible brush buying decisions. A second and perhaps equally important concern is what are you painting on? Do you like toothy canvas? Smooth canvas? Panel? Your support will have a lot to do with what your paint application looks like. The third item you may need to consider is what is the size and subject of your painting? If you are doing a small highly detailed still life on panel your choice of brush may be different than if you are doing a larger figural piece on canvas. I like to have two types of brushes on hand at all times. I mostly paint small to medium sized paintings. I like a smooth support whether it’s canvas or panel. I do not like toothy or overly absorbent supports. This suits my expression and temperament. A smoother support offers me the opportunity to leave behind subtle brushwork. For my usual work I don’t go in for a bravura, Sargent-like paint application. But I do like to show some mark making, much like subtle cross-hatching in pencil drawing. Clean, but not too clean. So my brush of choice is going to be either a sable or softer synthetic. These brushes are firm enough to grab some paint and lay it on when fully loaded. And I do like to load my brush. I enjoy an opaque but controlled application of paint as I build each form. But there are times when I want a little more brush character. A little more impasto, or sculptural quality. For this I turn to Chungking hog bristle. There’s nothing quite like a loaded hog bristle brush. I love the raking lines left behind by the bristles. To me it gives a delicious tactile quality to the paint film — something I can “feel” with my eyes. Yummy. Also, I’ve been trying to paint larger lately. Canvases size 36×24, 30×40, something like that. For this size painting hog bristle brushes are my choice. I can lay down paint much faster and there is a more interesting character to the paint film. Not that I’m slopping the paint on. It’s still controlled, but the bristle just seems to be much more satisfying on a larger piece than my soft brushes. Rosemary & Co. Eclipse (synthetic) – I prefer the long filberts…just perfect! And, oh, I prefer rounds and filberts for the most part. I do have a few flats and brights but they don’t get much use. Rounds and filberts are my shapes of choice.